Honda Motor Co. has decided to sell its new hybrid car for around 1.59 million yen (approx US$18,600), which will be the lowest price for a gasoline-electric vehicle sold in Japan, company sources said Saturday. The price of Honda's new Fit compact car to be released in October will be some 300,000 yen lower than the 1.89 million yen price tag for the cheapest model of its Insight hybrid put on sale in February last year. The move is expected to accelerate competition in the development and sale of environmentally friendly vehicles between Honda and Toyota Motor Corp., which is expected to release a new compact hybrid next year that will do more than 40 kilometers per liter of gasoline and have a price tag of around 1.5 million yen, analysts said. 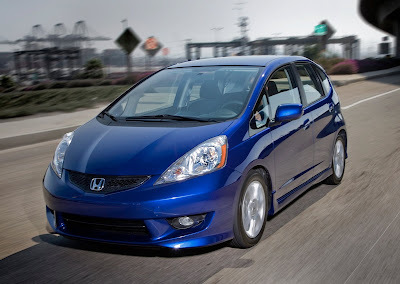 Honda aims to shore up its hybrid sales with the launch of the new Fit car as sales domestic sales of its Insight hybrids between January and July totaled some 26,000 units, about one-tenth of the 204,882 units of Toyota's Prius hybrids sold in the same period. To be equipped with a 1300 cc engine and an electric motor, the new Fit will be capable of 30 km per liter, much more than the 24 km of the existing Fit model, but will cost only about 400,000 yen more, the sources said. Hybrid vehicles tend to have little room inside as they need to carry a large battery. But the new Fit will have the same interior size as the existing model because the battery is located under storage space in the back of the vehicle, they added.